Your talent is just what we're looking for! Those tags are so cute! 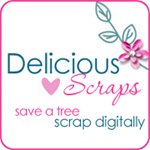 I'm Kristin over at Digital Scrapbooking Giveaways. We recently started a new blog devoted solely to driving scrappers to YOUR blog and YOUR stores to buy YOUR products. For the kickoff, we're hosting a 25 days of Christmas digiscrap style. Designers who sign up to be a part of the kickoff will receive their feature completely free. Which includes a 24-hour exclusive front page feature post, button in our "Scraps we're giving away next week" section for 1 week, button in our "Scraps we're giving away this week" section for 1 week, 2 images of other kits for sale, review of products, direct links to your shop, etc. For a sample post, more information, and scheduling please e-mail digiscrapgiveaways@gmail.com. Thank you so much for this Freebie. I want to let you know that I posted a link to your blog in CBH Digital Scrapbooking Freebies, under the Page 2 post on Nov. 18, 2009. Thanks again. Love the tag, thank you.